Mohammed Hawajri was born in Al Bureij refugee camp, Gaza, in 1975. One of the founders of the Fine Art programme at Gaza's Red Crescent Society, he regularly teaches workshops for young artists. A finalist for both the 2000 and 2002 Young Artists Awards, he was included in the 2001 Sharjah Biennale and the 2008 Jerusalem Show at Al Mamal Foundation, Jerusalem. 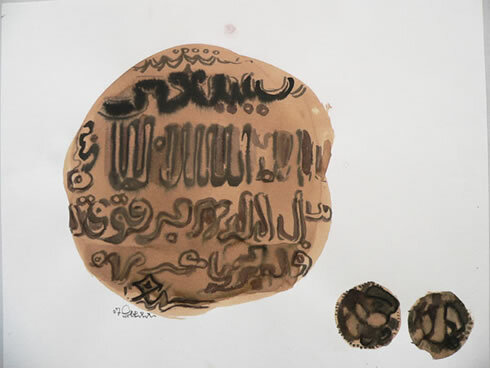 He has shown his work in many exhibitions in Palestine and abroad, and has been invited to residencies and workshops in the UK, Jordan, France and Switzerland.